Brian Lund-originally published Feb 5, 2015 Lesson: Think for yourself. Nobody wants to be the bearer of bad news. Nobody wants to crush people’s dreams. But in the world of investing, cold, hard facts, not dreams, are what make you money. And the fact of the matter is, historically speaking, buying gold is the worst possible investment you can make. In his seminal book “Stocks for the Long Run,” renowned economics professor Jeremy Siegel looked at the long-term performance of various asset classes in terms of purchasing power — their monetary wealth adjusted for the effect of inflation. Editor: Too bad gold isn’t an investment but just money. This entry was posted in Economics & Politics, YOU and tagged Contrarian, Psychology. Bookmark the permalink. The “gold is an investment” meme is a brilliant sleight of hand by the fiat money peddlers and their sycophants. Among acquaintances, I’ve successfully reoriented discussions simply by inverting: how many dollars can one ounce of gold purchase today vs [date in past]? Taking it further, I find it helpful to explain that gold is a relatively straightforward way to *preserve* wealth while I look for attractively-priced assets that *build* wealth; during some environments (like today), the opportunity set for my experience/skill/risk tolerance is extremely limited or nonexistent. And those doldrums can last for years, so better gold than dollars, especially if there’s a nonzero chance of runaway inflation due to coordinated central bank action. On a related note, I find Buffett’s famous comments about gold unhelpful for most people, given his unique circumstances. (This actually applies to a lot of his advice, wise and brilliant as it is.) Berkshire has a collection of businesses that can “float” with inflation (e.g. pass-through costs), so converting funny-money to real money isn’t quite as essential to wealth preservation. Sorry to blather on; while I don’t consider myself a gold expert by any means, I’m baffled that people make this whole subject more complicated than necessary. Thanks for sharing this representative example. EXCELLENT post and points. I find W. Buffett’s criticism of gold disingenuous and also his lack of protest against what the Fed is doing to distort prices and investment. See his article on gold. Maybe Buffett was protesting against his father’s beliefs. 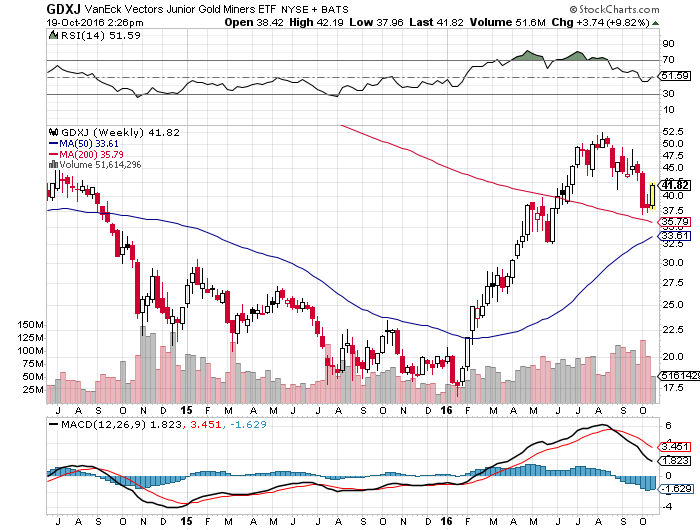 Mine is not a comment pro or con for the commodity, but to the analytical difficulties with gold. In particular, there are something like 500 years worth of gold production in inventory (jewelry, coins, bars, etc). Any other commodity with 500 years of inventory would be close to worthless. So supply/demand/inventory is meaningless. Gold/oil is interesting, but oil is beholden to normal supply/demand/inventory and gold is not. Other fundamental comparisons are logically tenuous as well. So then one is left with momentum/trend. Exactly. Gold has a massive stock-to-flow ratio–2,000 tonnes produced each year vs. 180,000 tonnes estimated or 90 to 1 roughly. Therefore, gold is mostly valued as money. RESERVATION DEMAND sets the price. If you bid $300 an ounce for silver, you can have my silver tea set. Just need to be mindful of survivorship bias inherent in a lot of these asset comparison studies. It is only a fair comparison if things are always there, through ups and downs. Also how many fiat currencies have even lasted remotely closely to gold. Agreed for stocks in an index. All fiat currencies have gone to their inherent value–$0.00. In the US, it has happened twice with the Continental dollar and the Confederate dollar. So ask yourself, could the dollar collapse while its quantity shrinks? 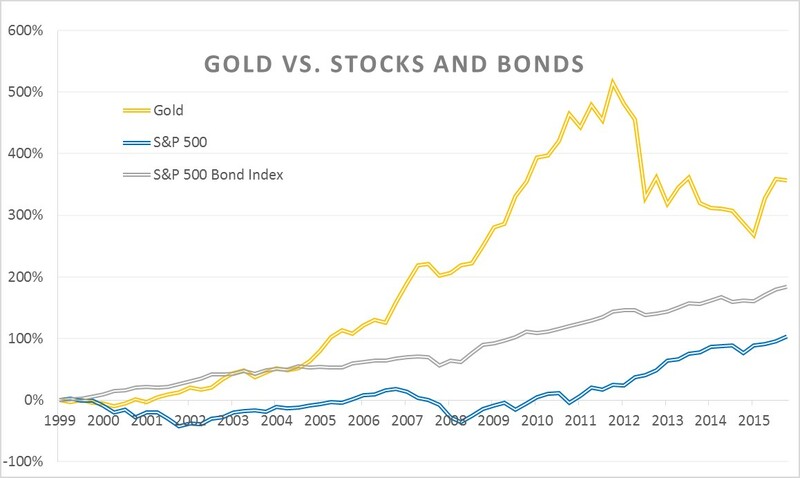 Look what supports the dollar: Mostly long term mortgages and Treasuries with several thousand tonnes of gold. What happens when interest rates rise? Look at the Fed’s balance sheet.